5 Powerful Tools Used by SMM Services rel="canonical"
With over 3 billion social media users around the world, it’s clear that social media marketing is important. But how do you know that your social strategy is working? You need to invest in social media monitoring. To help you get started, we’re sharing the top five tools that are used by professional SMM services. These tools will give you access to detailed insights, allow you to automate important tasks, and give you tips on the kind of content that performs best. You’ll wonder how you ever lived without them. Ready to monitor your accounts like a pro? If you’ve ever thought about using social media for business, you’ve probably heard of Hootsuite. It’s the most widely used platform for social media management and allows you to control multiple accounts in one place. That means that when you compose a post for one platform, you can automatically post it to several others at the same time. You can add multiple team members to your account, which makes it ideal for delegating tasks and working collaboratively. You’ll also have access to powerful analytics, helping you to improve and grow your campaigns. Buzzsumo lets you monitor and analyze your Facebook pages, then offers useful tips on how to make the most of them. You’ll be given data on the best time of day to post, the optimum length for posts, and the kind of content that gets the best results. It’s perfect if you’re new to social media marketing and have no idea what performs best. Is your brand a social influencer? If you’re not sure, you can find out using Klout. The platform tracks your reach and influence on Twitter, giving you a clear idea of what people currently think about your brand. It suggests shareable content that’s new to your audience, taking the effort out of sourcing content yourself – ideal if you’re short on time. Mention does what it says on the tin. You’ll have access to all the mentions of your brand across the web, and it covers most major social media platforms. So, whether someone has just posted a scathing review of your service or a tweet about how much they love you, you’ll know about it. This is a great tool for managing your image online. Are you a fan of Twitter for business? Twitonomy gives you access to tons of detailed metrics about your account, including your most popular tweets, your current engagement levels, and your follow/unfollow rate. You can also track competitors – a great way to see how you’re doing in comparison. 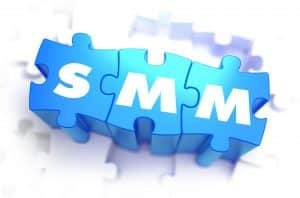 Why Invest in SMM Services? SMM services are essential if you want to make the most of your social media marketing budget. They’ll help you track engagement, manage your image, and improve your campaigns. You’ll also be able to see how you’re doing compared to competitors, and use their content to inspire your future strategies. Ready to invest in SMM for your business? Contact us for a free quote today.